West High alum completes the 12-man American team for this month’s matches vs. Europe in Paris. (Charlie Riedel | The Associated Press) Tony Finau hits on the 17th tee during a practice round for the PGA Championship golf tournament Tuesday, Aug. 7, 2018, at Bellerive Country Club in St. Louis. 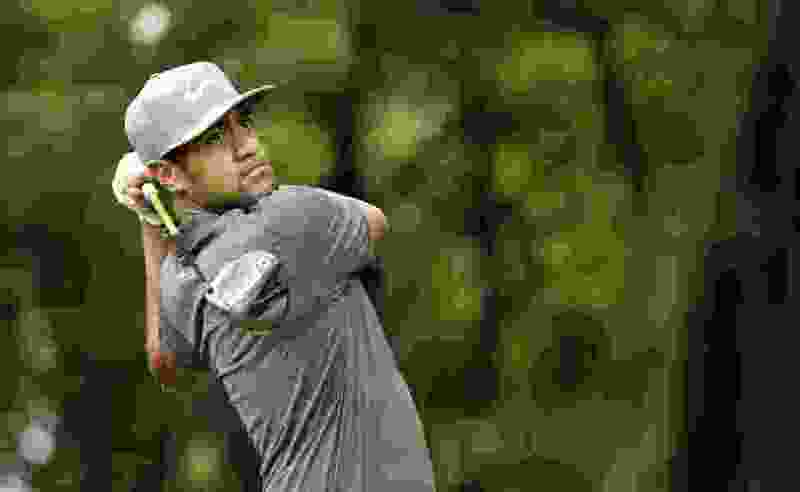 Tony Finau's climb toward his goal of becoming one of the world's top 10 golfers continued Monday, when another high finish in the FedEx Cup Playoffs moved him to No. 15 in the Official World Golf Ranking. Being chosen as one of the United States' 12 best players was even more rewarding. Finau will be the first homegrown Utahn to play in the Ryder Cup, after being selected by U.S. captain Jim Furyk. Finau, a West High School graduate and Lehi resident, was named the fourth captain’s pick, filling the 12th spot on the American team that will oppose Europe in the biennial matches Sept. 28-30 at Le Golf National in Paris. Finau was forced to wait six days for the final selection, after Furyk chose Tiger Woods, Phil Mickelson and Bryson DeChambeau with his initial picks. Monday's announcement then was pushed back several hours as Finau (who tied for eighth place) and the rest of the field completed the weather-delayed BMW Championship near Philadelphia. Xander Schauffele, considered the biggest challenger to Finau for the final berth, tied for third. A victory by Schauffele would have created a dilemma for Furyk. Keegan Bradley won the tournament in a playoff and also was thought to be under consideration. Finau has enjoyed a remarkable 2017-18 season on the PGA Tour, ranking No. 3 in the FedEx Cup standings and having earned more than $5 million going into next week’s season-ending Tour Championship in Atlanta. In 27 tournaments, he has posted three second-place finishes, 11 top-10s and 18 top-25s. He placed in the top 10 in the first three major championships of the year and made the 36-hole cut in the PGA Championship — in which he was paired with Furyk and made 10 birdies in the second round. More recently, he has posted top-10 finishes in all three FedEx Cup Playoff events and is in line for a huge bonus if he plays well in the Tour Championship. Finau's Ryder Cup opportunity is historic for the Utah golf community. The state's most recent connection to the event came in 1981 when former BYU golfer Johnny Miller lived in Salt Lake City and made his second Ryder Cup appearance. The late Billy Casper, one of the top all-time performers in the Ryder Cup, moved to Utah shortly after his last competition in 1975. Sandy resident Mike Weir, a native of Canada, played five times for the International team in the Presidents Cup. George Von Elm, another West High alumnus, played in four Walker Cup amateur matches. Von Elm didn’t make the 1931 Ryder Cup team, because the matches were played in June — the week before he finished second in the U.S. Open.